Text is scratched into the blackened windows. 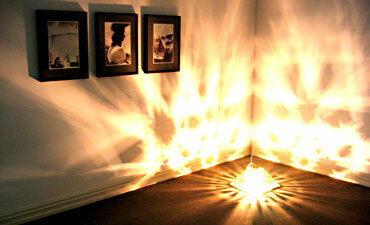 The sun and passing cars send words flickering around the gallery. 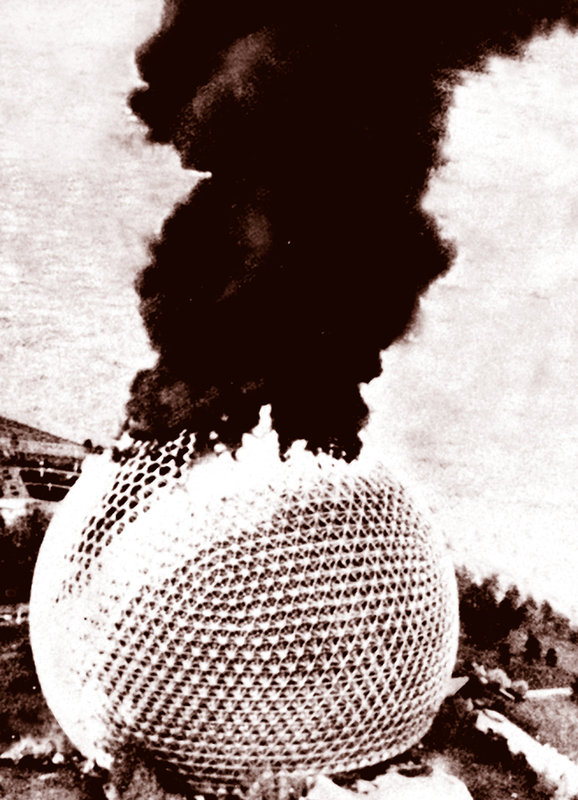 In a corner is a potted history of the geodesic dome, a family portrait in sepia tones, lit by a lantern soldered together from triangular panes of smoky glass. 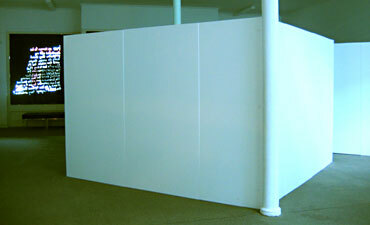 A projection space built from polystyrene slabs divides the space. 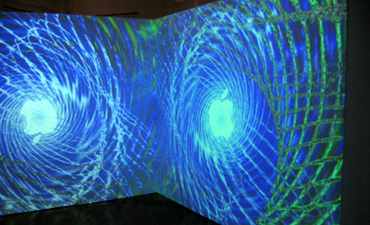 Images generated by the visualization feature in audio player software create a room of swirling psychedelic colour from the waveform of a computerised voice. The reading is of a J G Ballard story, a science-fiction tale about psychotropic architecture – houses that alter in response to their owners’ emotions. 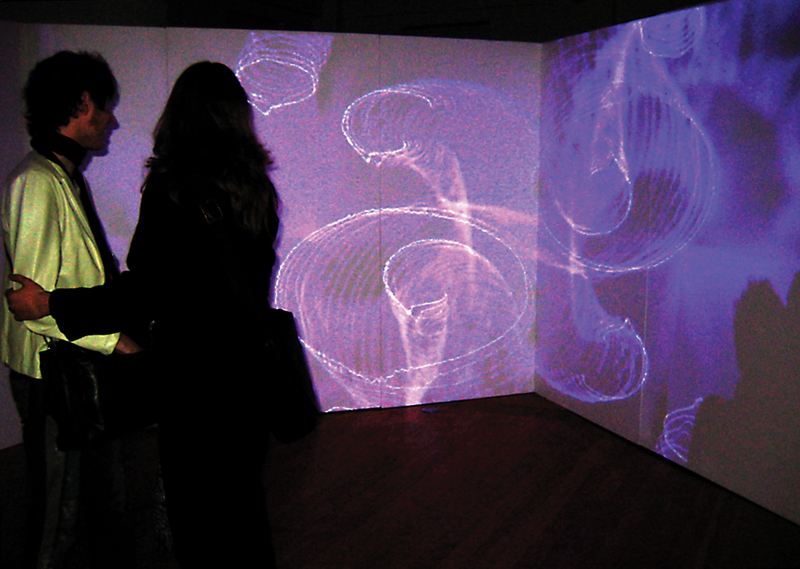 Sound visualization is an evolution of the bubbling, glowing lava lamp. 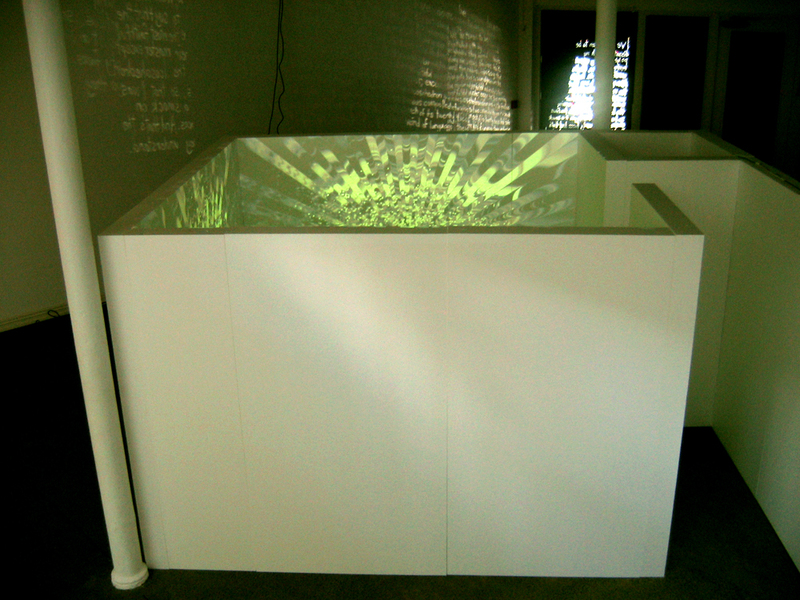 The software takes the sound wave – in this case, the story-telling voice – and applies real-time transformations, converting sound into a streaming field of stoner imagery. 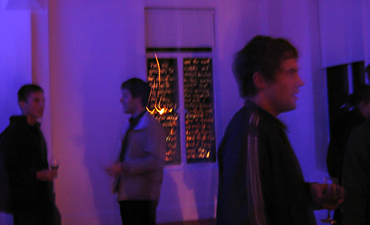 The effect is of moving, morphing, psychedelic wallpaper.